We have two type of Lab machine: Lab22 and Lab30 with three type cutting system: strand, water ring and air cooling die face cutting. 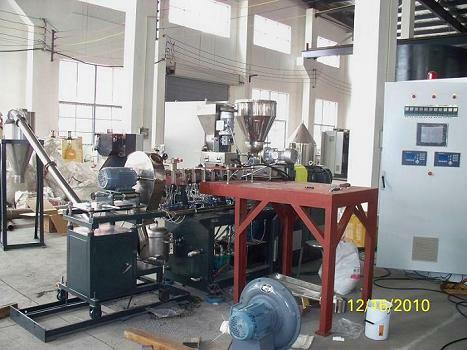 7) Control panel, soft water cooling system and vacuum system are inside the base of extruder. Please check the attachment photo.